C.E.B. IMPIANTI is leading manufacturer of machines and complete plants for industrial containers cleaning. We take care of each single step, from the engineering to the production, delivery and installation at customer site. The washing media (water or solvent) is recirculated and filtered from/to the stocking tank and sprayed at high pressure into the container to be washed by means of a volumetric high pressure pump and motorized rotary washing jet. Our production covers different industrial fields: we can be everywhere there are containers to be washed. High safety and quality standards are our aim. Special machines can be engineered to satisfy each customer request. 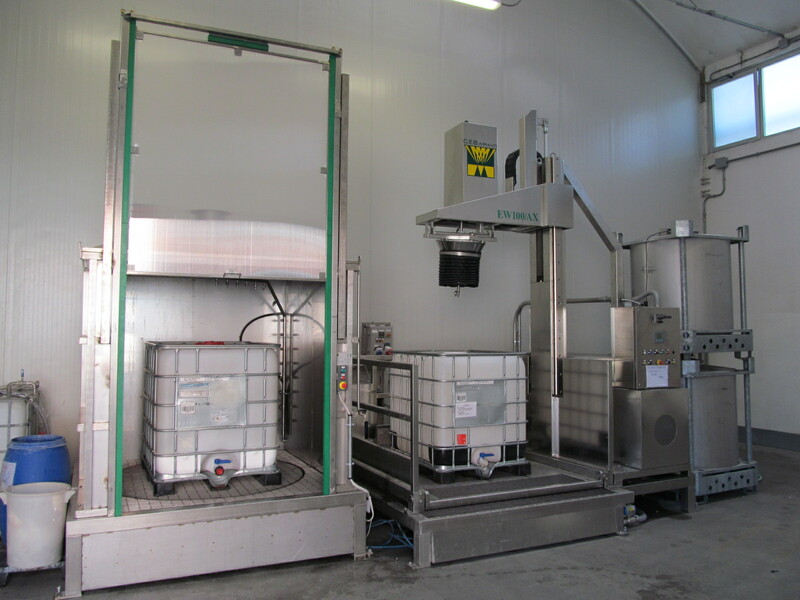 Full automatic systems allow to wash and dry inside and outside IBC or drums with a high productivity and top cleaning quality.